Google is offering another one of their free services for the iOS! This time, it’s their translation app. The Google Translate app is not a universal app, so it will run fine on the iPad but to have full screen you have to run the iPhone app in 2X mode. The app will allow you to speak in 15 different languages using the ‘mic’ button, a word or a full sentence. Typing the text is supported as well through the text entry box. At the top of the screen is the boxes of to choose the spoken language and the language to translate to. The directional arrows will let you reverse the translation too. 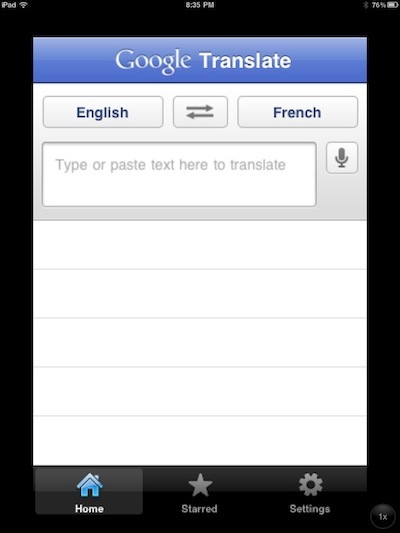 Tapping either of the to or from language boxes takes you to the list of languages supported by Google Translate. 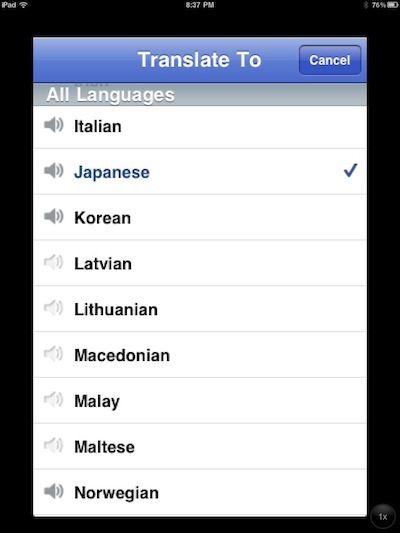 Currently, the app supports 57 different languages. 23 of which have the ‘speaker’ icon colored in that represents those will speak the translation back to you. When a language is chosen, Google Translate spells out the translation of non-Latin script languages (e.g. Chinese, Japanese, etc..) and Latin characters to read phonetically (e.g. 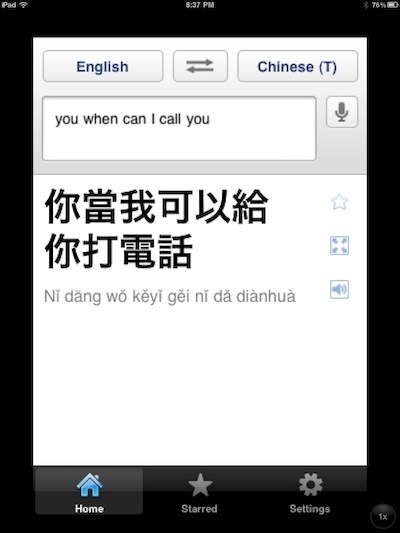 Pinyin, Romaji). To hear the translation, tap the ‘speaker’ icon along the right. Additional dictionary results for single words or short phrases is also available. Translated words and phrases are kept in ‘history’ for later offline usage.